World of Fax and Typewriters has been fixing typewriters for 23 years in Plainfield, NJ. 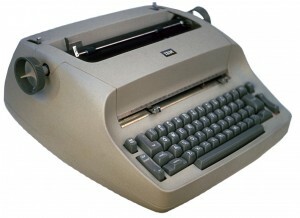 Call us for same day service on typewriter repair in Plainfield, NJ. Is your typewriter not typing? Any keys on your typewriter sticking? Push a key and nothing happens? Is your typewriter typing too lightly? Typewriter margins not working properly? Correction ribbon not working properly? Maybe your typewriter needs a good old fashion cleaning. We repair all IBM, Smith Corona Typewriters, Brother Typewriters, Nakajima Typewriters, Olivetti Typewriters, Royal Typewriter, and many others. Call 800-634-9329 today for fast service. 20 Years Typewriter repair and service Experience in Plainfield, NJ. Same day on-site service in Plainfield, NJ and also Rockland County, Westchester County, Bergen County, and Manhattan. Call now for friendly help. We fix IBM, Smith Corona Typewriters, Brother Typewriters, Nakajima Typewriters, Olivetti Typewriters, Royal Typewriter, and many others. We also have on site repairs for Copiers, fax machines, laser printers, typewriters, shredders and computers. Call 800-634-9329 today for On-Site Repair for all Typewriters. 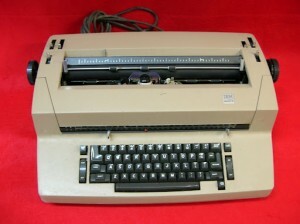 We service IBM, Smith Corona, Brother, Nakajima, Olivetti, Royal Typewriters. Including models IBM Wheelwriter 1000, IBM Wheelwriter 1500, IBM Wheelwriter 3500, IBM Personal Wheelwriter, IBM Personal Wheelwriter 2, IBM Wheelwriter 3, IBM Wheelwriter 5, IBM Wheelwriter 6, IBM Wheelwriter 10, IBM Wheelwriter 15, IBM Wheelwriter 30, IBM Wheelwriter 35, IBM Wheelwriter 50, IBM Wheelwriter 70, IBM Wheelwriter 2000, IBM Wheelwriter 3000, IBM Wheelwriter 5000, IBM Wheelwriter 7000, IBM Wheelwriter, IBM Selectric II, IBM Selectric III. Ibm typewriters all models in Rockland County NY, Smith Corona Typewriters all models repaired in Rockland County NY, Brother Typewriters all models repaired in Rockland County NY, All Brother Typewriter Models including Brother AS-2050, Brother AX-130, Brother AX-140, Brother AX-10, Brother AX-20, Brother AX-22, Brother AX-250, Brother AX-300, Brother AX-310, Brother AX-325, Brother AX-33, Brother AX-350, Brother AX-400, Brother AX-425, Brother AX-450, Brother AX-475, Brother AX-500, Brother AX-525, Brother AX-550, Brother AX-600, Brother AX-625, Brother CE-400, Brother CE-600, Brother CE-650, Brother CE-700, Brother CF-710, Brother CM-1000, Brother CM-2000, Brother CT-1050, Brother CT-2050, Brother EM-2000, Brother EM-2050, Brother EM-2050D, Brother EM-350, Brother EM-411, Brother EM-430, Brother EM-530, Brother EM-550, Brother EM-605, Brother EM-611, Brother EM-630, Brother EM-701FX, Brother EM-750FX, Brother EP-150, Brother EP-170, Brother EP-5, Brother EP-7, Brother GX-6000, Brother GX-6500, Brother GX-6750, Brother GX-6750SP, Brother GX-7000, Brother GX-7500, Brother GX-7750, Brother GX-8000, Brother GX-8250, Brother GX-8500,Brother GX-8750, Brother GX-9000, Brother GX-9500, Brother GX-9750, Brother LW-30, Brother ML-100, Brother ML-300, Brother ML-500, Brother PY-75, Brother PY-80, Brother SX-4000, Brother TS-2050, All Nakajima Typewriter Models including Nakajima Typewriter, Nakajima AX 70, Nakajima AX 76, Nakajima AX 80,Nakajima AX 90, Nakajima AX100, Nakajima AX 200, Nakajima AX240, Nakajima AX260, Nakajima AX375, Nakajima AX455, Nakajima AX510, Nakajima AX530 all models repaired in Rockland County NY, All Olivetti Typewriter Models including Olivetti Typewriter, Olivetti CX 440, Olivetti CX900, Olivetti CX1000, Olivetti CX1000S all models repaired in Rockland County NY, Adler-Royal 600, 600P, Satellite40, 80 , All Royal Typewriter Models including Royal Beta Signet Series, Royal Beta Signet TQ 720, Royal Beta Signet 920, Royal Beta Signet 8000.